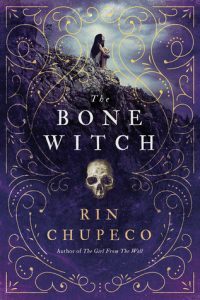 Rin Chupeco’s The Bone Witch is a fantasy about a girl who accidentally discovers her powers when she brings her brother back to life. She is taken in by a bone witch for training, and her brother, Fox, becomes her zombie familiar of sorts. The story follows Tea’s instruction from age twelve to about age fifteen? We get to see the “coven” in which she is raised and trained, the day-to-day life, the details of the clothes she and the other people wear, glimpses of the food, and all of the minute details that comprise Tea’s education. In a way, this works, but it also drags the story out and often feels like nothing is happening. Most of the action happens in the first quarter of the book and the last quarter of the book, and the rest is mostly world building filler with a few minor conflicts that Tea has while learning how to utilize her powers. The world building in this story draws heavily from Chinese influences, and this makes it different for me from any of the recent YA fantasy I’ve read. 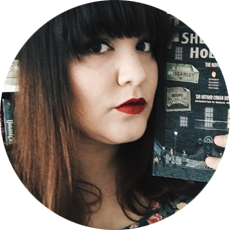 The atmosphere and setting are richly detailed, and everything is described so vividly, and I enjoyed that a lot. I also like that the main character’s magical powers are necromancy. It’s dark, and it’s different from the soft and beautiful magic often reserved for female characters. I like that, and I want to see how that power grows and manifests itself as she ages. Fox is probably my favorite character, because who doesn’t love a sidekick named Fox who is also a zombie and who also has an interesting personality? After finishing this, I found myself wanting more, more to have happened and more to have been done with the story. The intertwining parts of a bard recounting his experiences with an asha (who is most likely Tea) in the future with the story of Tea in the past is very reminiscent of Rothfuss’s Kvothe in The Name of the Wind, and I feel like this is like the younger end of the spectrum YA sibling to The Kingkiller Chronicles. The world Chupeco created is so grand and so vivid that I just wanted to see more of Tea’s interaction with that world and within that world rather than descriptions of it, and I’m hoping that’s what we’ll get to read in the sequel. A copy of this book was provided to me by Sourcebooks Fire and Netgalley for review; all opinions are my own.